Vitamin D could play a role in treatment of infertility. Not a day goes by where we don’t hear about vitamin D and its miraculous healing and healthy powers. 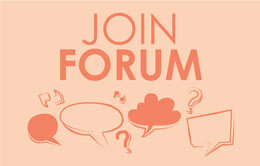 What can it do for those who suffer with infertility? While some of the scientific community thinks the jury is still out on whether we should supplement with vitamin D – you might want to take a look at some of the research and decide if this might be an important component of your fertility treatment – that is if you haven’t already done so! In late spring of 2014 a study was published by the European Journal of Endocrinology that suggests Vitamin D may play a role and be influential of endocrine disorders and diseases such as diabetes, Addison’s disease and PCOS (to name a few). 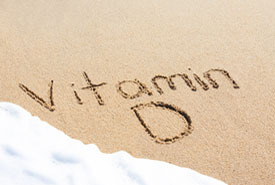 This particular research study debates the role vitamin D plays with these conditions. The objective of the study was to assess studies and evaluate the relationship between vitamin D and fertility. The evidence from basic science supports the idea that vitamin D has a role in many endocrine conditions. According to Joseph M. Mercola (mercola.com) an alternative medicine proponent and osteopathic physician, up to 85 percent of the population may have insufficient levels of vitamin D and furthermore are unaware of their deficiency. There are also numerous studies supporting his point of view ( See also - The vitamin D epidemic and its health consequences and Scientific American. There is an ever-growing body of evidence and research that supports the crucial role of vitamin D in disease prevention as well as the health benefits. There are also studies that support the idea that optimum levels of vitamin D can help prevent and lower the risk of cancer by slowing down growth of cancer cells and boosting the immune system so it can destroy the mutated cells. We obtain vitamin D, a steroid hormone, from direct sunlight exposure, food and supplementation. Sounds simple doesn’t it? But there are different types of vitamin D. The most common are D2 and D3. According to the Mayo Clinic there are two forms of vitamin D that are important in humans: vitamin D2, which is made by plants, and vitamin D3, which is made by human skin when exposed to sunlight. Role of vitamin D in ovarian physiology and its implication in reproduction: a systematic review.